May, one of the finest months of spring is the month of Mother’s Day. For those of us who have lost a mother, this day ceases to be a day of celebration and becomes a day of remembrance. If we are a mother and have children it is both a day of celebration and remembrance. My mother passed away suddenly in March 1995 at the age of 69. 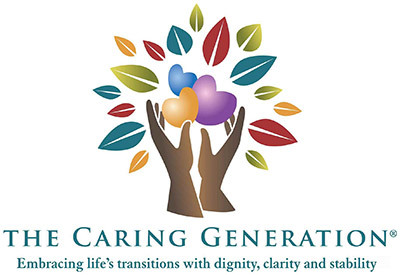 I was 34 and the passing of my mother resulted in a total re-evaluation of my life and a career change to my work in the aging and healthcare industry as an advocate and an educator. 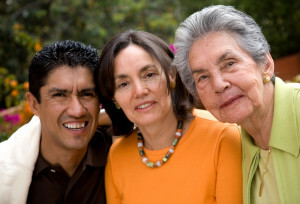 Coincidentally May, specifically Mother’s Day in 2009 was the day I began my journey with what is known today as The Caring Generation®, this website and the path of educating family and professional caregivers. Life is truly serendipitous. Today due to my profession, I have many mothers, female friends and colleagues who share stories and offer advice. I enjoy these women. My life would be less full and definitely less interesting without them. I look at myself at ages 20, 30 and 40 and reflect on the changes that occurred in my life in each decade. These women, at age 70, 80 and 90 possess nearly double the life experience, yet many of them are not asked about their wisdom. Julia, who had the courage to travel to the United States alone in 1913 from Germany. She worked as a nanny and later married and had a large family of her own. Loretta, lived almost to the age of 100, had years of wisdom and advice to offer but preferred to share this with others not in her family because she doesn’t want to interfere in the lives of her children. Her sense of humor was one of a kind. Katherine, who never had children, missed the companionship of girlfriends who began to pass away as aging and illness arrived in their lives. These women served as shining examples of dignity, courage and compassion. I am blessed to have known all of them. Let Mother’s Day be a day not only to celebrate our mothers, living or deceased, but also to celebrate the other women in our lives who make a difference. Let everyday be a day to stay in touch with a friend or neighbor just to say hello, to stop by for a visit, to make a quick phone call or to send a hand written card. The old traditional methods of contact are disappearing with the advancements technology, yet it is the post card, letter or photograph that we more easily use to remind us or to reminisce about events or loved ones. As we age, family and friend relationships are those that will sustain us on days when we feel a bit down or lonely. The time to reminisce, document family history and learn recipes is today while our mothers and grandmothers are still with us. Time passes so quickly, illness and accidents occur and history becomes lost with the passing of each family member. Mothers and grandmothers cannot be duplicated. Once lost they are gone forever except in our memories. Research indicates the importance of social activities and contact as being beneficial for our health and minds. This is especially true when we accept the unexpected role of family caregiver. 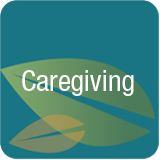 At the time when we feel stress because of the duties and responsibilities of everyday life, it is the contact and support we receive from friends and loved ones that gives us hope and allows us to continue in some of the most challenging caregiving roles. It is important to learn from those still with us, to celebrate the living and warmly remember those who have gone before us. For it is in the experience of these relationships that we learn to form new and lasting relationships and to pass our wisdom along to those younger than us.